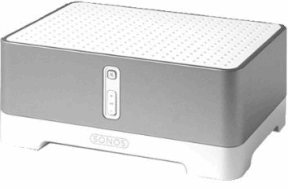 [tweetmeme source= ‘plamere’ only_single=false] One of the many cool things about working at the Echo Nest is that we have an Sonos audio system with single group playlist for the office. Anyone from the CEO to the greenest intern can add music to the listening queue for everyone to listen to. The office, as a whole has a rather diverse taste in music and as a result I’ve been exposed to lots of interesting music. However, the downside of this is that since I’m not listening to music being played on my personal computer, every day I have 10 hours of music listening that is never scrobbled, and as they say, if it doesn’t scrobble, it doesn’t count. Sure the Sonos system scrobbles all of the plays to the Echo Nest account on Last.fm but I’d also like it to scrobble it to my account so I can use nifty apps like Lee Byron’s Last.fm Listening History or Matt Ogle’s Bragging Rights on my own scrobbles. This morning while listening to that nifty Emeralds album, I decided that I’d deal with those scrobble gaps once and for all. So I wrote a little python script called MeToo that keeps my scrobbles up to date. It’s really quite simple. Whenever I’m in the office, I fire up MeToo. 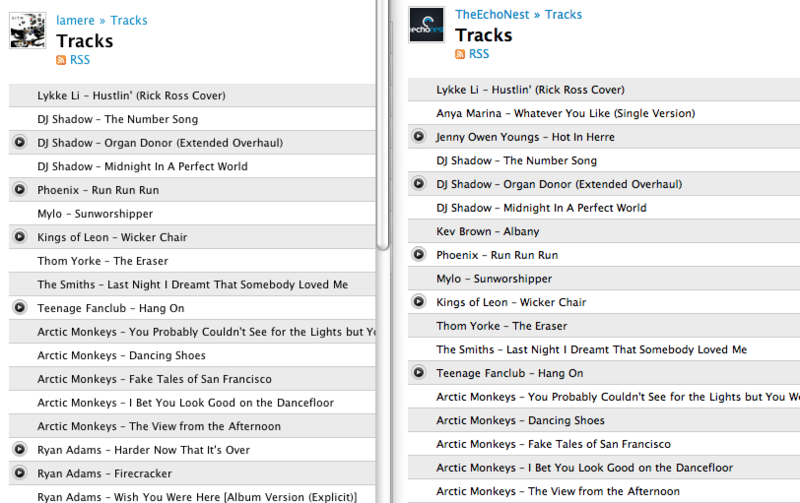 MeToo watches the most recent tracks played on The Echo Nest account and whenever a new track is played, it scrobbles it to my personal account. In effect, my scrobbles will track the office scrobbles. When I’m not listening I just close my laptop and the scrobbling stops. when I do that, MeToo will continuously monitor most recently played tracks on TheEchoNest and scrobble the plays on my account. When I close my laptop, the script is naturally suspended – so even though music may continue to play in the office, my laptop won’t scrobble it. I suspect that this use case is relatively rare, and so there’s probably not a big demand for something like MeToo, but if you are interested in it, leave a comment. If I see some interest, I’ll toss it up on google code so anyone can use it. It feels great to be scrobbling again! This entry was posted on June 11, 2010, 5:29 am and is filed under code, fun, Music, The Echo Nest, web services. You can follow any responses to this entry through RSS 2.0. Both comments and pings are currently closed. Interesting idea, would be useful when listening to music with friends. “so there’s probably not a big demand for something like MeToo”???? What I’m more curious about is your Sonos system with the group playlist for the office. Can you go into more detail about this? Is this a Sonos specific feature? Our current setup is just a stereo that we swap our iPods in and out of. We’d love to repurpose an old computer to act as a music server that we could all interact with from our own computers… set up playlists, cue songs, etc. Do you know of a non-sonos solution for such a situation? Thanks for the great contribution.